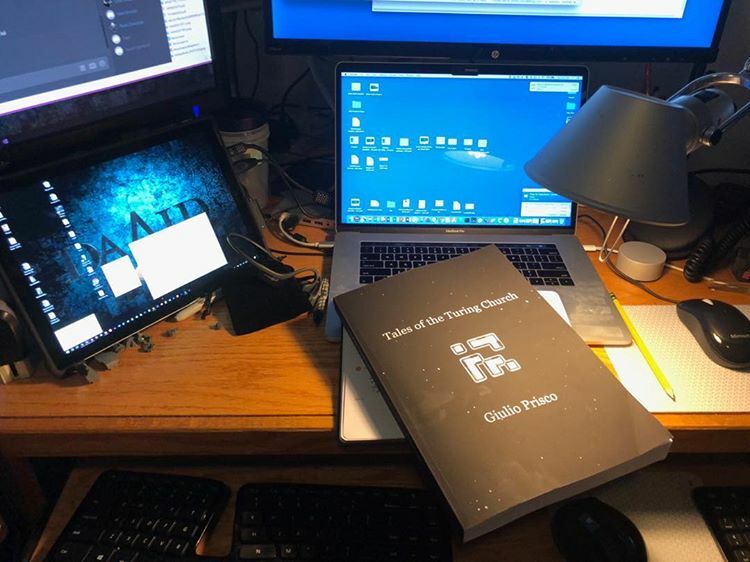 (Hungary) Giulio Prisco just released a book titled, “Tales of the Turing Church”. The paper version of the book is oversized but is a significant contribution to books on transhumanist topics. Certainly the best book on the more philosophical elements or spiritual elements (if you believe in such things) of transhumanism. More precisely the book includes topics such as Transhumanism, Hacking Religion, Religions and Transhumanism and related topics, and various other transhumanist philosophical topics. If you were to create a short collection of books on Transhumanism including books like the ‘Transhumanist Reader’ this book (Tales of the Turing Church) should be included and we would encourage you to add to your collection. Thanks for reviewing my book! Yes, the paperback version is a bit oversized. Most readers are buying the (cheaper) Kindle edition, and I guess only people my age or older are buying the paperback. At our age, many people prefer big fonts. A friend my age loved the oversized book, and said she wouldn’t be able to read a smaller font. The paperback is identical to the source PDF, which is optimized for iPads (both standard and mini size). I look forward to reading comments and reactions from Transhumanity readers!